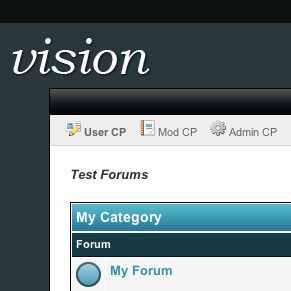 MyBB Clear vision is a very elegant blue theme for MyBB old style Web 2.0 by Clear. The name was inspired by my vision of MyBB; because the default skin is not very much and my skin eye observes a "parallel" I wanted to let everyone know. This theme is in beta, with your help will be bug fix and a re-color (MBB clear vision: red; green; yellow; black; white). 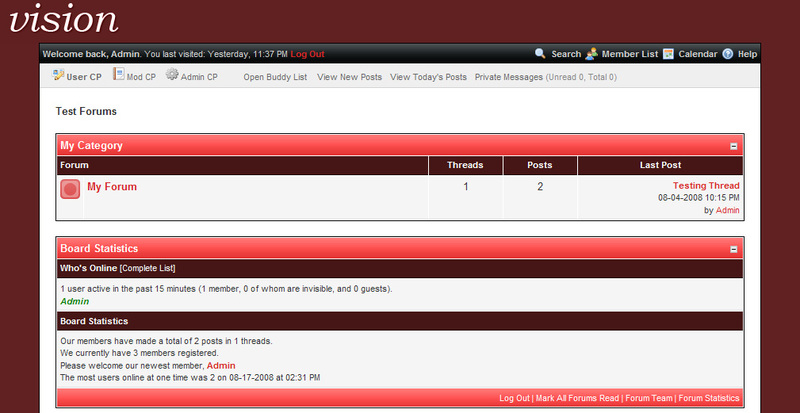 To install it, you need to upload from your pca xml file and then upload the folder "clear" in the images folder of the forum ..
A professional looking darkish red with a new header and footer layout.